You may expect the answer to this is ‘nobody knows’, but actually in the case of Cervical cancer, the causes are known. In the 1980’s doctors noticed that cervical cancer seemed to spread like a STD. There was virtually none in communities of nuns, and a big increase after the 60’s when women were, shall we say, given more freedom to do what they wanted! They then started to review tumors, and found that in virtually all cases they found a particular virus. HPV. Since then it has been identified that the cause in most cases, including mine, is HPV. However, it would be hard to go through life and not get HPV. Something like 75% of us will have HPV at some stage in our lives, and in most cases you would never know. Many of the 40 strains have no symptoms, and most people will fight off the infection after a couple of years, perhaps never aware that they had it. Many others will have the virus living in their body, doing little or no damage. So what can you do to avoid it? Not much really – other than abstinence, but since the cause was identified as HPV, most first world countries have started a large scale vaccination program. This,combined with widespread pap smears, is proving to be very effective in eradicating a disease, and it is expected that cervical cancer rates will drop rapidly as the vaccinated population rises. 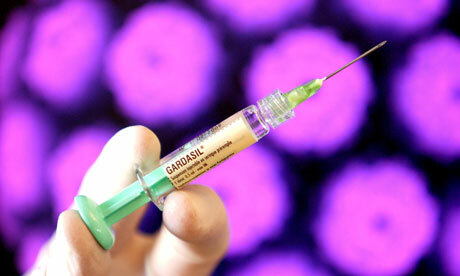 Investigation into HPV is still on-going, as it is suspected in a range of cancers. 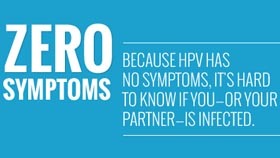 HPV doesn’t always cause cervical cancer, but most cervical cancers come from HPV. HPV (Human papullomavirus) is responsible for about 90% of cervical cancers, and HPV 16 or 18 are responsible for about 70% of total cervical cancers. I have HPV 16, which is the most dangerous for cervical cancer. It is also one which would have had no symptoms at all when it was acquired. How is it that we are not tested for HPV? It frustrates me that the NHS allows for 1 smear every 3 years, but they don’t test for HPV. If you are found to have HPV 16 or 18, it seems sensible to increase the regularity of smear tests. Had I known I had it, then I would have been there every year (for what is an uncomfortable test) without complaint! In theory it is very unlikely that you can move from a clear smear to cancer in the three years, but that is essentially a cost/benefit decision by the NHS. Unlikely doesn’t mean impossible, just statistically unlikely. I think that is why doctors keep asking me about earlier smears – but this is genuinely the first time I had any kind of negative result. What else has to happen? There are lots of types of HPV, and only a few have direct links to cervical cancer (and a range of other cancers.) So you have to have the right one, and you probably need to add in a few other risk factors. Such as smoking (yep) and long term use of the pill (yep). Then the virus has to get through the protective coating on the cervix. That means the virus has to be active, and at the same time something slightly negative had to be happening with me. Maybe a cold, maybe a small yeast infection, maybe a few weeks of overwork and stress causing my immune system to be lowered… whatever it was… something happened and the virus got through, and started to settle in and start to cause changes in my cells, and then they start to replicate in an uncontrolled manner. As I understand it, the next step is the virus has to disable the normal activities of the woman’s own suppressor genes, which make suppressor proteins that do “damage surveillance” in normal cells. These cells would normally find, and stop, excessive growth of cells. As an aside, isn’t it amazing that these things even exist?! The idea that our bodies have so many well controlled functions and specialized cells and proteins is really amazing. This has to happen between pap smears, otherwise it will be noticed and removed. As my small rant above covers, this is unlikely, but clearly not impossible. Edited to add: I mean the growth must have happened over the last 3 years. The infection probably happened over 10 years ago. I’ve also stopped smoking many years ago – don’t worry mum! As I said above, now we know this, there is a vaccine against it. The vaccines only cover the main HPV culprits that cause 70% of cervical cancers, so you will still need to get a pap smear, but the risks will be massively lower. There are lots of posters up on the tube at the moment about getting the vaccination. Maybe they were always there and I never noticed? But either way, I find my eyes drawn to them, and only wish it was known earlier. I also have to resist the urge to grab any teenage girl and shout GET VACCINATED, but I have a sneaking suspicion that would get me arrested! It is a three injection process to get vaccinated, and when you are young you don’t believe these things really happen, but hopefully more people will get it over time. I have been diagnosed with Squamous Cell Carcinoma Moderately Differentiated. Margins involved (141.2). Can someone tell me what exactly this means? I haven’t been to the specialist yet because we are waiting fir insurance authorization. The waiting us killing me. Even I thought there’s no reason behind all this cancer thing.When I was a cancer patient I was wondering out of all the people why it chose me as the victim.Thanks for the Cancer treatments I went through, I am still alive today.Hope one day will come where no patient will die because of the cancer beast.